COLUMBUS—State Senators Kristina Roegner (R-Hudson) and Bob Peterson (R-Washington Court House) yesterday testified before the General Government and Agency Review Committee on Senate Bill 119, which would exempt Ohio from the federal requirement to change between Daylight Saving Time and Standard Time. Provisions of the bill will require Ohio to remain in Daylight Saving Time all year around. Traditionally, Daylight Saving Time is adhered to from 2AM on the second Sunday of March, until 2AM on the first Sunday of November each year. 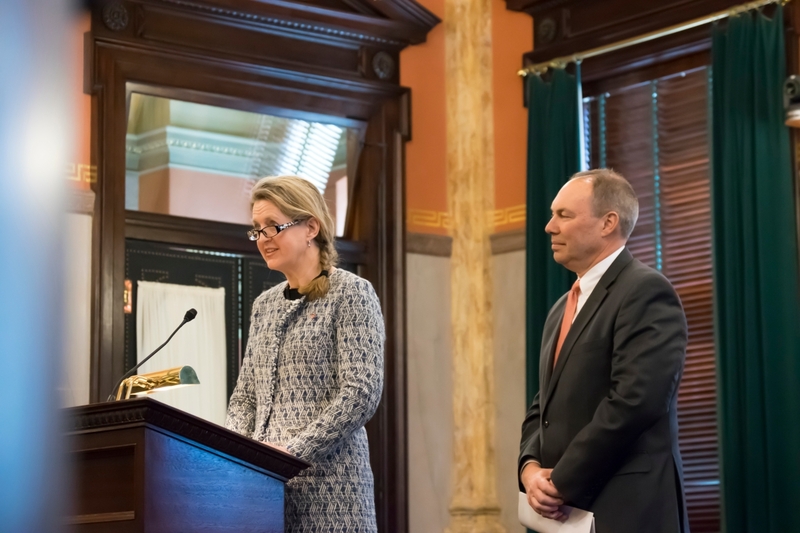 "Senate Bill 119, Ohio's 'Sunshine Protection Act,' would provide daylight later in the day all year long and eliminate the generally loathed switching of the clocks twice a year," said Roegner, joint-sponsor of the legislation. "As I heard once, clocks are meant to go around and around—not jump back and forth." DST was first instituted in the United States during World War I. The rationale was to extend daylight working hours in order to use less artificial light and save fuel for the war effort. However, one of the effects of technological advancements over the years has been reduced power consumption by ever-more-efficient artificial lighting. In fact, some studies have found the time change to actually increase energy use. During yesterday's testimony, a number of considerations and safety concerns with the current system were cited, including endangering the lives of drivers and passengers due to sleep deprivation. For more information, please contact Senator Roegner's office at 614-466-4823 or email Roegner@OhioSenate.gov.